Dental Hygienists provides a deep and thorough clean of your teeth. They work to prevent gum disease by cleaning off the plaque and tartar from your teeth. 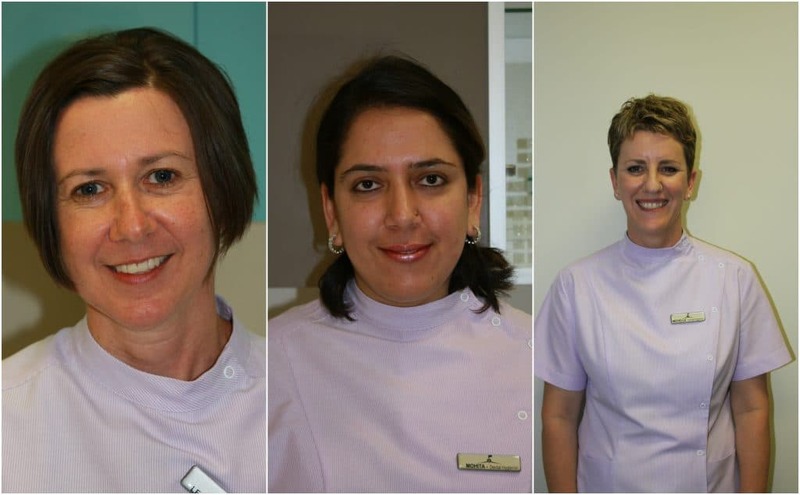 Our Dental Hygienists, Lesley, Mohita and Michelle, have many years of experience in cleaning teeth. They are also able to spot any other problems with your teeth. They will refer to the dentist during your check up. Your appointment goes for an hour which allows time for a very detailed clean and check of your teeth. As part of your appointment, Mohita, Lesley and Michelle will help you create an oral care plan. This will include showing you how to correctly brush and floss your teeth. With the combination of regular checkups and proper techniques at home, your dental health can dramatically improve. This will mean less of the restorative work like crowns, bridges and impants. You can also talk to our Dental Hygienists about tooth whitening. This is another way to give your smile a sparkle. It also enhances all the good work you are doing for your teeth with regular brushing and flossing. At Canberra Dental Care we custom-make your tooth whitening trays and will show you the best way to do this treatment at home. To be a Dental Hygienist Lesley, Mohita and Michelle trained for a number of years and are registered as health providers with APHRA. This is the same board that governs dentists which means your hygienist has to follow the same rules when it comes to the care they provide you. Worried you won’t see the dentist? Don’t. Dental Hygienists can only work under the supervision of a dentist. During your check up one of our 3 dentists (either your usual dentist or the next available) will come into your treatment room and conduct a detailed check of your teeth to make sure there isn’t anything else going on. During you dental check up the hygienist talks to the dentist about the treatment she has done. The dentist is there to check your teeth so make sure to ask any questions you have about your clean or any further treatment that might be needed.